Experience relaxing and rejuvenating holidays in Captain Nicolas Paros hotel in Naoussa reflecting Cycladic charm. Captain Nicolas hotel in Paros is a charming traditional-style hotel nestled at the region Naoussa Paros, one of the quaintest settlements on the island. 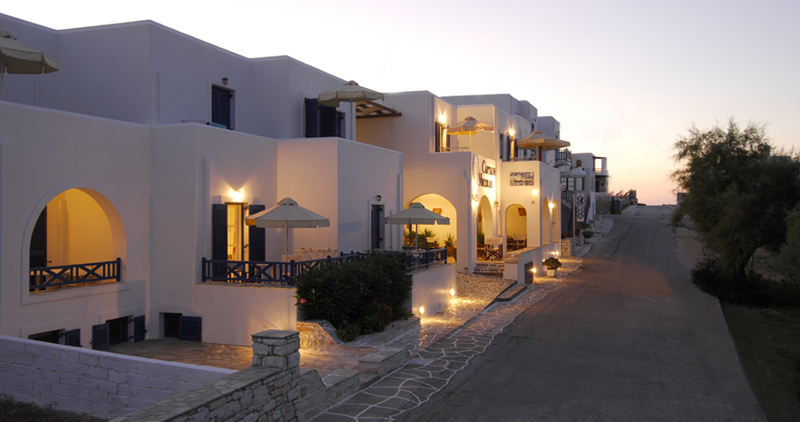 It is a whitewashed complex of Paros studios and apartments situated in Naoussa, right on the beach of Agii Anargyri. This charming hotel in Paros is a real sample of authentic island architecture, as it features blue wooden shutters, stone-paved yards and flowered balconies, making it one of the most attractive Naoussa Paros hotels. At Captain Nicolas Hotel in Paros you will unwind in well-equipped hotel apartments and studios - some with spectacular sea views -, ensuring tranquillity in a serene environment since our hotel in Naoussa of Paros is right outside the hassle of the town. With friendly and helpful staff making you feel at home and getting out of their way to ensure you are having a great time, Captain Nicolas provides all the amenities and Paros hotel facilities you need and is considered one of the most hospitable Paros Hotels in Naoussa. Captain Nicolas Paros Hotel Studios and Apartments in Paros belongs to the 3-key category of Naoussa Paros Hotels and is expecting you from May 1 to October 31. The settlement of Naoussa is located in Northern Paros, on Naoussa Bay and is one of the most loved holiday resorts on the island. It is famous for its breathtaking view of the Aegean Sea and the Bay. In Naoussa, Paros you can swim in crystal-clear waters, sunbathe on pristine beaches, visit historical and natural sites and stroll through quaint side streets lined with traditional houses. In the evening, Naoussa is the place to be, as it offers an endless array of bars, cafés and water-front tavernas. 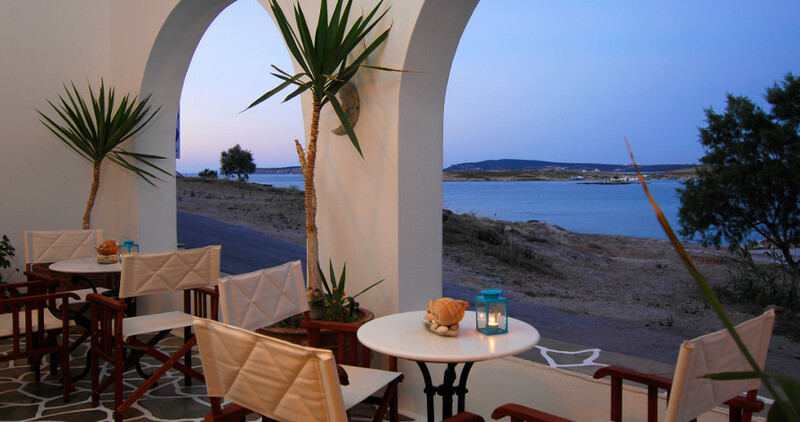 Located in the center of the Cyclades Islands, Paros is one of Greece’s leading vacation destinations. Crystal clear waters, pristine beaches, quaint villages, significant historical sites and exciting nightlife compose the picture perfect scenery of Paros making it an ideal holiday hot spot for all tastes.